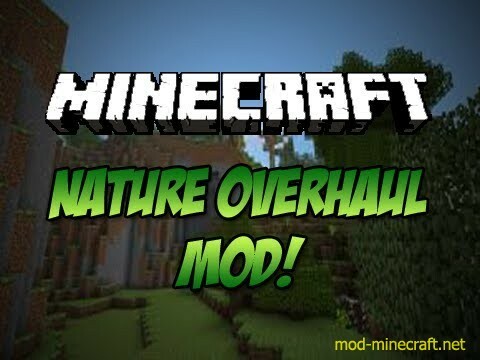 Nature Overhaul Mod is absolutely a solution for the boring unrealistic uneventful tree and forest system in Minecraft. This mod helps forests to grow, flourish, then die; expand, then contract; try to spread over deserts and fail. There are also saplings growing from trees, flying on the wind and spawning a new tree where they fall. Please notice that they can die in this process if the world is unfavourable such as a desert. Mushrooms now grow naturally into mushroom trees given room. Nature Overhaul can check for updates for itself automatically.